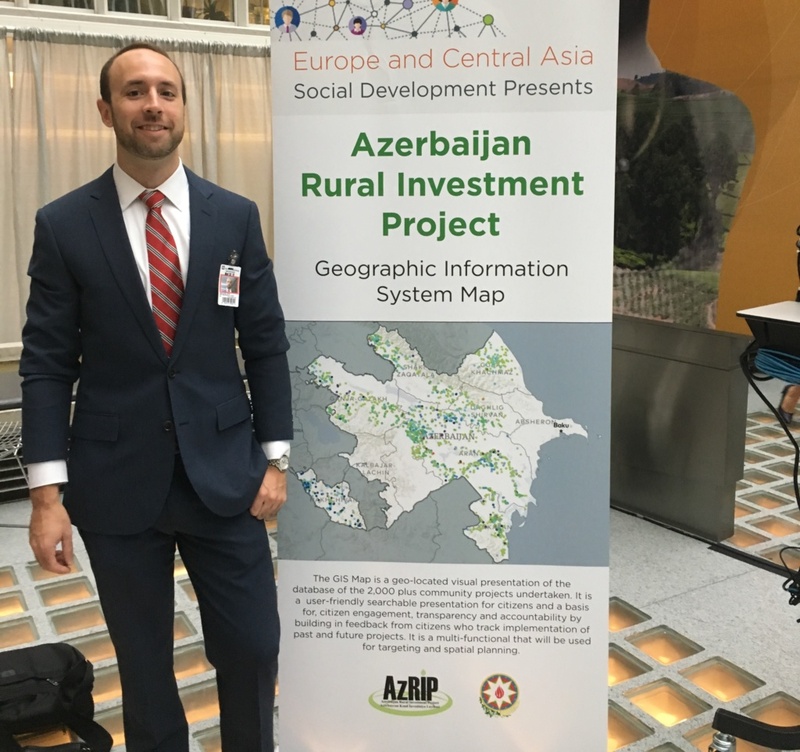 With over 2,000 projects benefiting 3.5 million people, the Azerbaijan Rural Invest Project (AzRIP) launched by the World Bank has been extremely successful in advancing the lives of everyday people by improving infrastructure in rural areas. 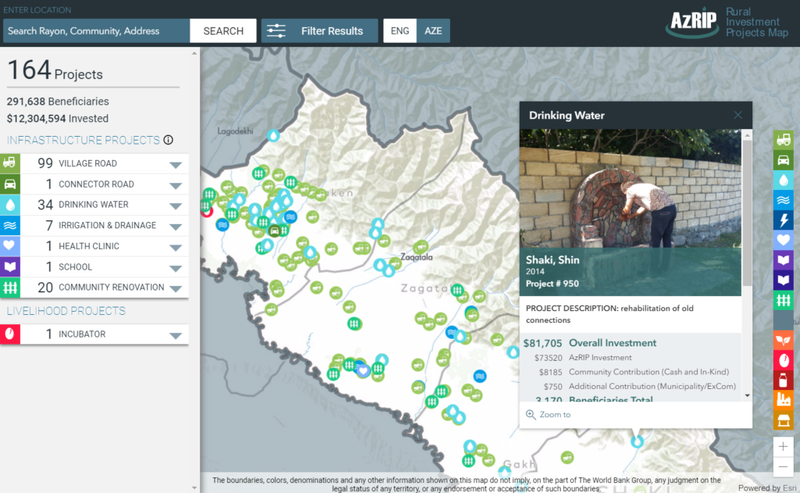 Since its launch in 2005, the World Bank has assisted in a variety of projects including improving road conditions, health clinics and schools, and access to clean water. 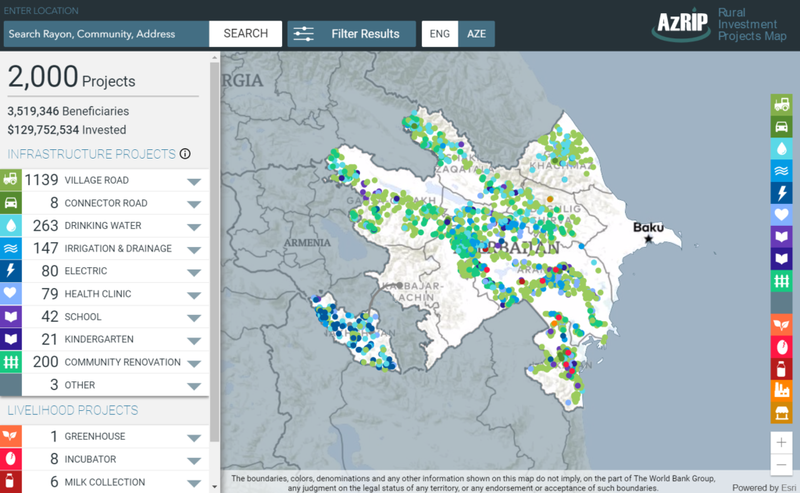 With so many projects across the 56 Rayons of Azerbaijan, Blue Raster was eager to help them create a map that had two goals: provide the Azerbaijani citizens a window into AzRIP's activities within the community and help investment teams make more focused, data-driven decisions. The World Bank has a commitment to success: each project works towards eradicating extreme poverty and promoting shared prosperity. 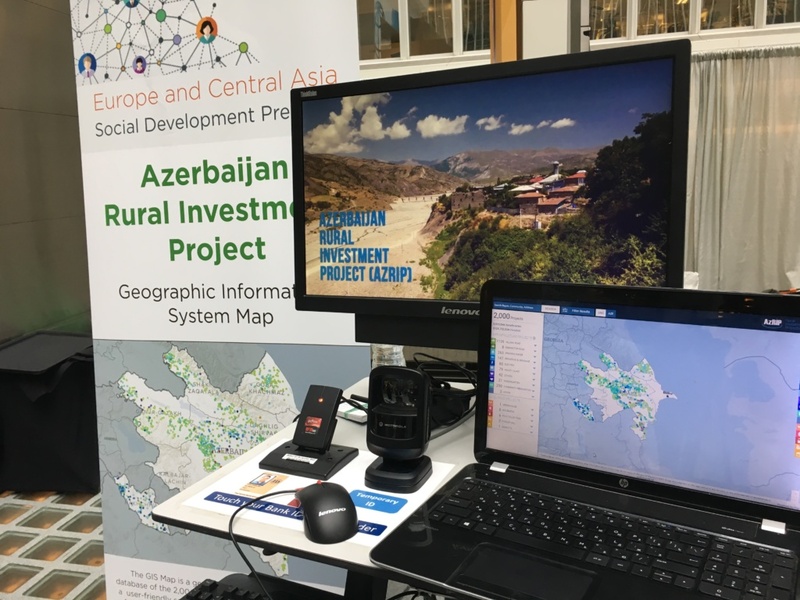 The development of this web application is crucial to increase the community engagement of those benefiting from the investments, and we need to know what works when it comes to impacting everyday lives. The application allows users to easily search by the type of investment project, with symbology that immediately translates the spread of certain types of investment projects and how these exist within communities and across borders. 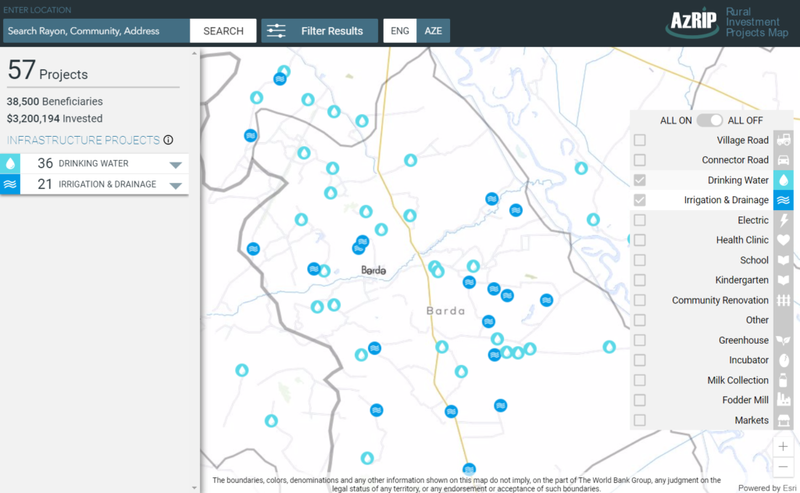 Also important was the ability to search by Rayon, year, and number of beneficiaries, to help understand the progression of these projects over time. 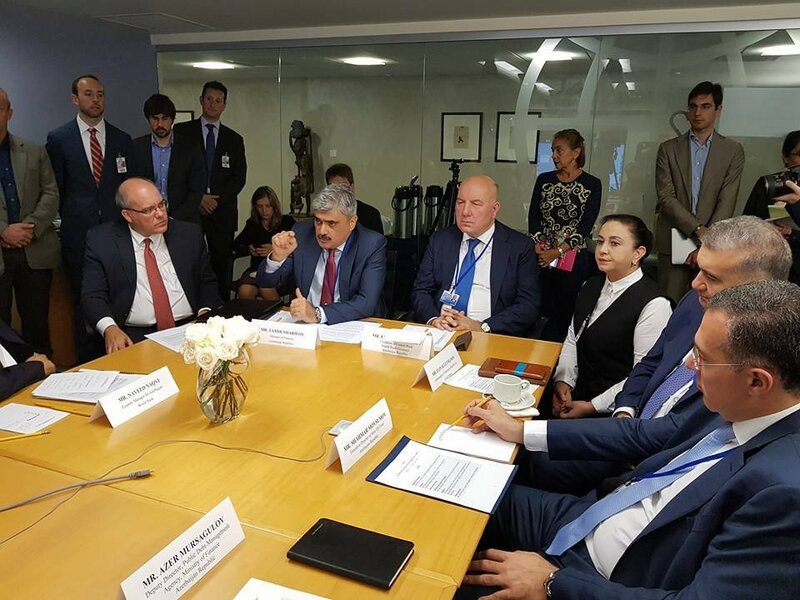 Throughout the development and launch of the application, Blue Raster assisted with international launch events attended by top government officials and stakeholders. We love to meet the people who can use the application in their everyday lives and show them the power of mapping.